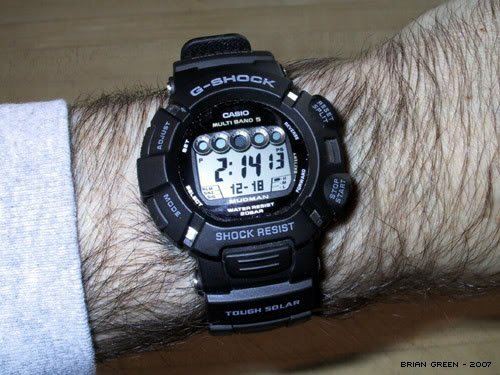 The straps on G-Shocks can sometimes be a bit too long for the average person. 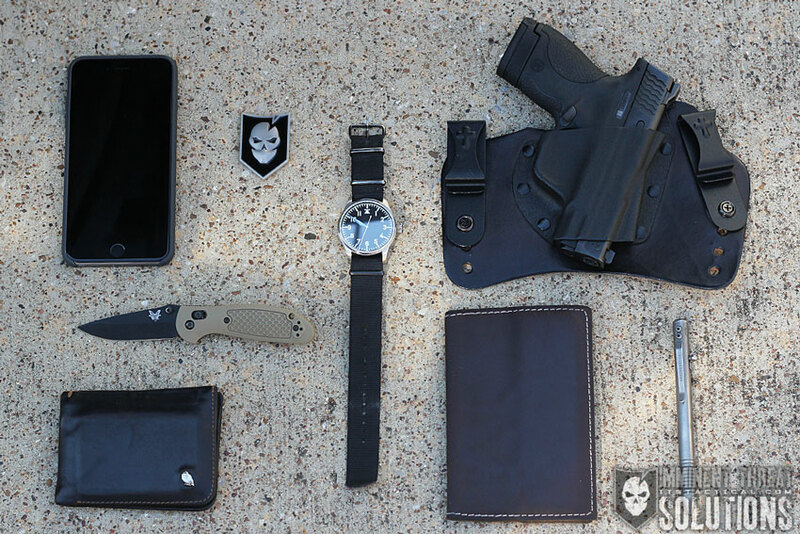 That’s especially true of my GW-5600J, to the point where they stick out and catch on the cuff’s of my shirts and long sleeves. 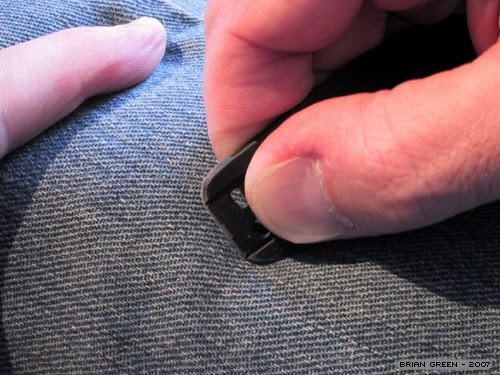 I posted a question on a popular watch forum to ask if anyone ever trimmed their straps, partly because I was curious to know how many other pencil-wristed G-Shock wearers were having the same problem and partly to see how many people were willing to take a knife to their beloved Gs. To my surprise, the resounding response was “yes”, followed by “just go ahead and cut it already”. 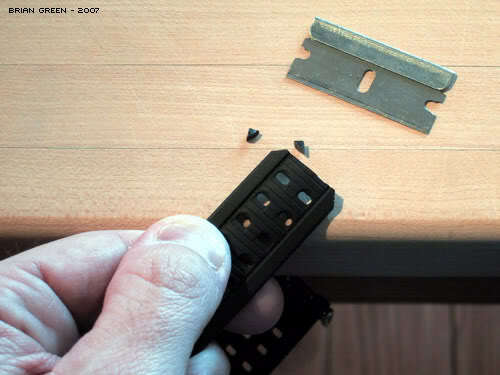 There were varying methods and tools recommended for doing it, ranging from razor blades to scissors. 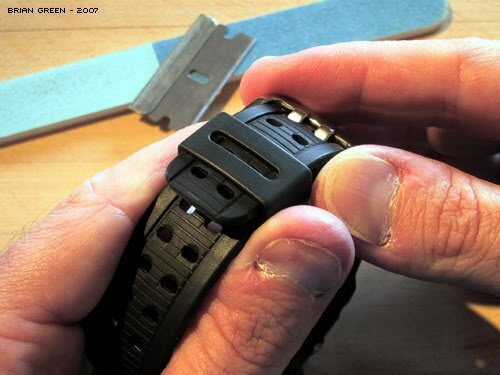 The problem was, I didn’t just want to hack off the end of my watch strap and have it look all gnarly or rough, I wanted to shorten it but make it look like it was bought that way. 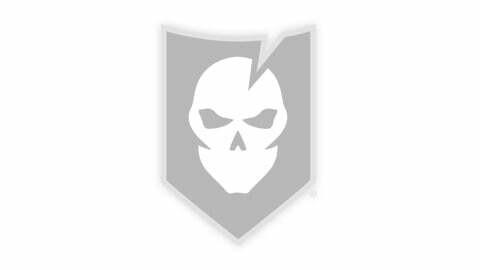 I’m going to use a straight edge safety razor. I’m using the rounded edge of my kitchen cutting surface for this in order to keep the cut open as I slice into it, it will help stop the razor blade getting pinched. 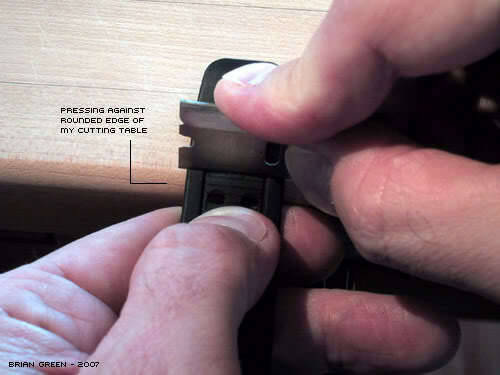 Decide where to make the cut… commit to it… cut! 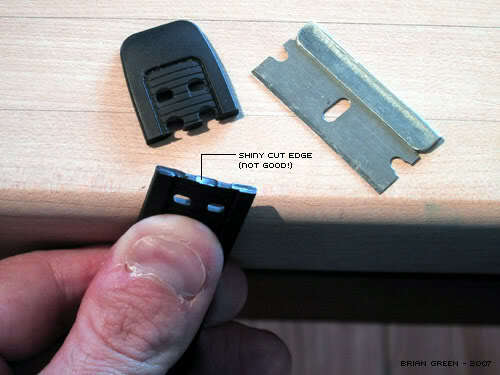 The first cut is made and it has the classic shiny edge that none of us wants to end up with, but we’ll fix that later. 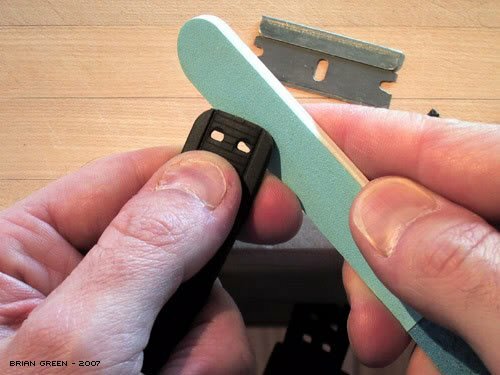 I’m going to use the safety razor again to make two smaller cuts on the corners to trim off some of the excess and save myself some filing time with the emery board. Now that the heavy work has been done, it’s time to shape the corners. 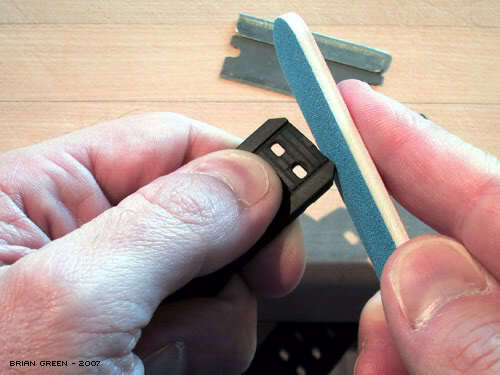 I’m going to use an emery board to round the corners into the desired shape. 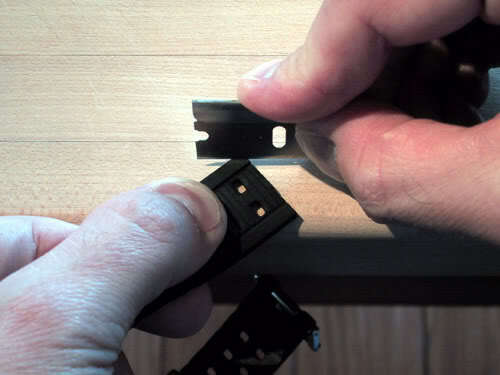 Ok, I’ve got the two corners nicely rounded – the emery board worked great! Now I want to add a small bevel all the way around the end of the strap to try and make it blend in with the rest of the strap. The end of the strap is now nicely rounded and beveled to match the rest of the strap — I could stop here and it would be just fine — but you know I can’t do that. I need to polish/smooth off the slight roughness left behind by the emery board. In the past I’ve found that a pair of jeans can buff things up pretty well, so I’m going to see if my jeans will do the trick. Well what do you know, the jeans worked great! 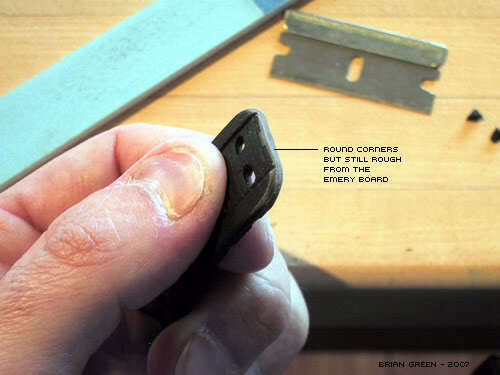 The end is polished just to the point where it matches the non-shiny surface of the rest of the strap. I think the end result is awesome, I’m definitely happy with it. That’s it! 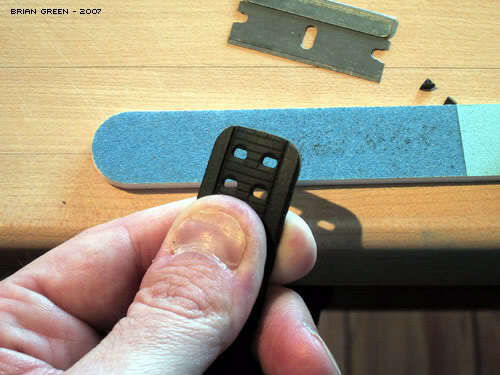 I think you’ll all agree that this is a great way to avoid having a nasty, shiny end to a trimmed resin strap – it was easy to do as well. It probably took me a whole lot longer to take these photos and write this up than it would to just cut the strap and clean it up — but I thought it would be fun for you all to see the steps. Hope you enjoyed it, now go fix those long straps on all your G-Shocks! 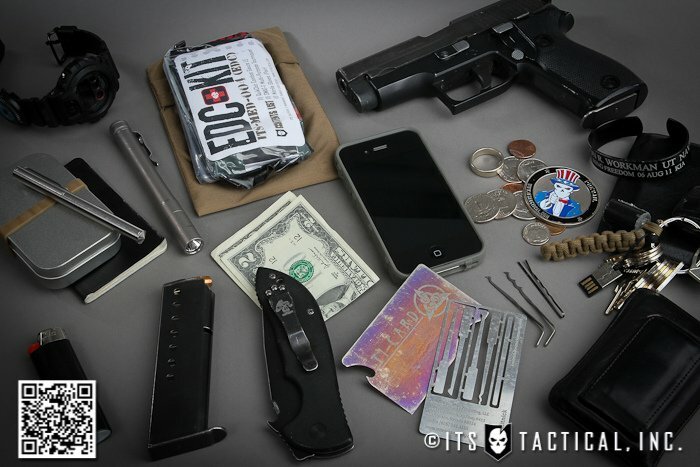 What’s in My Pockets: Show us Your EDC for a Chance to Win!